The reduction in natural gas prices would mean lower raw material cost for compressed natural gas (CNG) and natural gas piped to households (PNG). Piped cooking gas and CNG prices across the country will fall after natural gas rates were on Thursday cut by a steep 20 per cent, the third reduction in last one year. Price of natural gas produced from existing fields of state-owned ONGC and Reliance Industries has been cut to $3.06 per million British thermal unit with effect from Friday, an oil ministry official said. Gas price on gross calorific value (GCV) currently is $3.82 per mmBtu. On a net-calorific value (CV) basis, the gas price will be $3.4 per mBtu as compared to $4.24 currently. As per the new gas pricing formula approved by the NDA-government in October 2014, gas prices are to be revised every six months and the next change was due on April 1. The reduction in natural gas prices would mean lower raw material cost for compressed natural gas (CNG) and natural gas piped to households (PNG) and would translate into reduction in retail prices. Government also announced the cap price based on alternate fuels for undeveloped gas finds in difficult areas like deepsea which are unviable to develop as per the existing pricing formula. Earlier this month the Cabinet approved marketing and pricing freedom for all undeveloped discoveries lying in difficult areas subject to a cap. The cap for April 1 to September 30 will be $6.61 per mmBtu on GCV basis and $7.3 on NCV basis, the official said. This is the third and the steepest reduction in natural gas prices which will dent the revenue of state-owned Oil and Natural Gas Corp (ONGC) by Rs 4,300 crore on an annual basis. ONGC is the country's biggest gas producer, accounting for some 60 per cent of the 90 million standard cubic meters per day current output. All of its gas as well as that of Oil India Ltd and private sector RIL's KG-D6 block are sold at the formula approved in October 2014. This formula however does not cover gas from fields like Panna/Mukta and Tapti in western offshore and Ravva in Bay of Bengal. 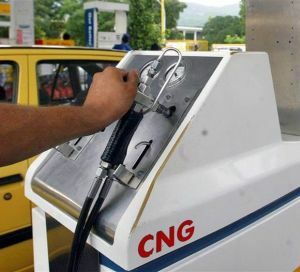 The price cut should result in a reduction of Rs 0.5 to Rs 1.5 per standard cubic meter in price of piped natural gas (PNG) for domestic customers and Rs 0.8-1.5 per kg cut in CNG prices, said India Ratings and Research (Ind-Ra). Retailers like Indraprastha Gas Ltd (IGL) in Delhi are likely to announce a revision in rate on Friday.